Have you and your design team mastered the art of the design brief? Preparing a clear, detailed design brief is the key to landing high-quality clients and finishing jobs on time and on budget. That's because of a design brief acts as a road map, guiding your team in all facets of the project. It's easy to get overwhelmed when preparing your brief or skip sections that feel unnecessary before the project has started. But experienced project managers and design leads will tell you this is a mistake! Without the proper level of detail, your brief is useless and your team will flounder without a sense of direction. 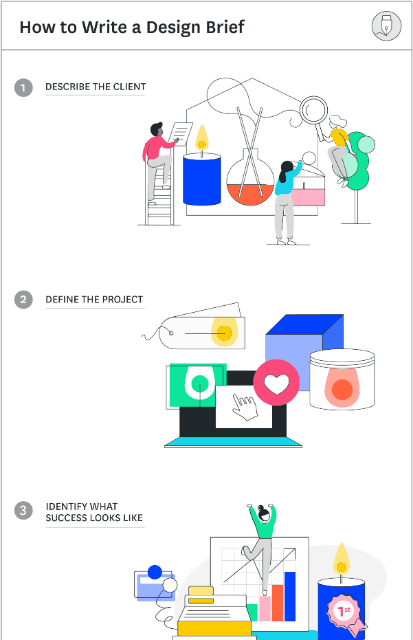 For tips on how to write a design brief with the perfect amount of detail, check out the following infographic by teamweek.com and click-through to read the full post. Writing a great design brief can be the difference between landing those high-paying clients or getting left behind, so make sure your brief makes the cut. How do Business Benefit from Infographics?